Hail, hail to old Purdue. All hail to our old gold and black! Hail, hail to old Purdue! Our friendship may she never lack!!! 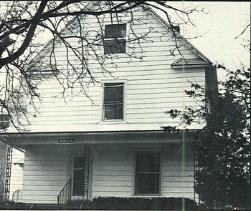 Our Stellar Brothers house at 214 Marstellar Street is long gone, and our memories of our Stellar Brothers days may have faded a little. We don't have a Stellar Brothers house to visit at Homecoming and most of us rarely talk with other Stellar Brothers. We likely don't even know where other Stellar Brothers are living or what they ended up doing. The purpose of this web site is to help you learn about what has happened to your Stellar Brothers, and perhaps encourage you to pick up the phone to call or send an email to friends from our college days. In addition the web site will help us coordinate and announce a future gathering of Stellar Brothers at some point in the not too distant future. First things first....join the web site!!! Another fun reunion as 25 Stellar Brothers met in West Lafayette on September 22, 2018. Beautiful weather, great stories, tasty food, enduring friendships, and a Purdue football victory were all part of a fabulous 2018 Steller Brothers reunion. Click here for reunion pictures. If you have pictures from the reunion, be sure to upload them to the web site....use the "Photo Gallery" menu item. In our House Meeting, we got "life" updates from our House Brothers and also passed out various awards. We also decided to have the next reunion in 2020. And with much graditude, we again thank House Brother John Prewett and his wife Debbie for hosting the after-game party at their lovely home. Pictures from the Epic 2016 Stellar Brothers Reunion! Beautiful weather, great stories, tasty food, enduring friendships, a big turnout, and a Purdue football victory were are part of a fabulous 2016 Steller Brothers reunion. Click here for reunion pictures and click here for the summary of the house meeting. And if you have pictures, be sure to upload them to the web site....use the "Photo Gallery" menu item. With special thanks to John Prewett, there are four Stellar Brothers Photo Albums that have survived from our college days. To see them, click the "Stellar Bros PhotoAlbum" link on the left menu bar. Prepare yourself to see pictures from 45 years ago!!! You likely have not thought about your Stellar Brothers house mates in a long time. That is a small crime as some of the best friends in your entire life were made while at Stellar Brothers. Time to join the web site to find out what time has done to your house brothers. Please join the web site! Know the email address of a missing House Brother? Click here to contact them!